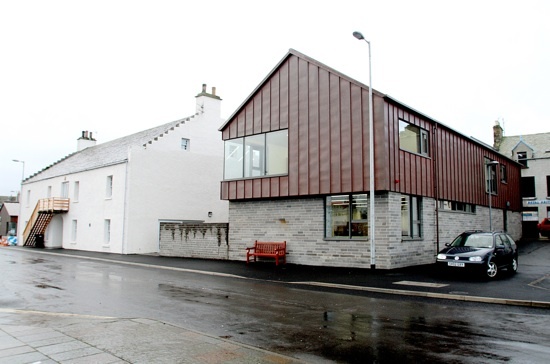 Stromness Library: There's a moose loose aboot this - library! There's a moose loose aboot this - library! The weather on Sunday may not have been kind to St Magnus Festival goers, but it hardly mattered to those lucky enough to have tickets for the Arne and Carlos Knitting Workshop in the Stromness Academy Library. Becky has returned buzzing with excitement, and inspiration for even more knitting projects - members of the Yap and Yarn group beware! 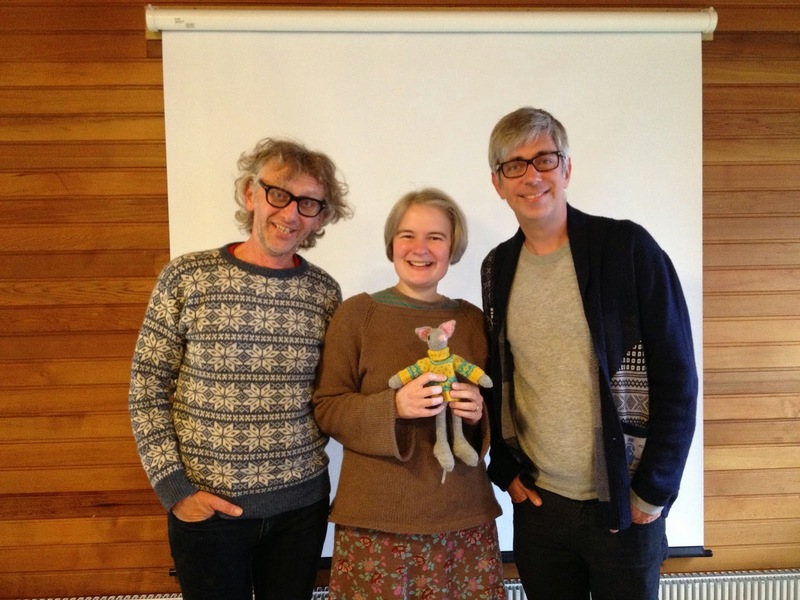 Apart from providing help and encouragement to workshop participants, as they tackled their very own Magnus the mouse, Arne and Carlos shared photos of the beautiful garden they have created at their home in the Norwegian mountains. A wonderful afternoon of knitting passed all too quickly, but before they left Arne and Carlos were kind enough to sign the library copy of their book Knit-and-Crochet Garden - which is now available to borrow again, as Becky has bought her own copy. Becky also got a photo with the superstar knitters, along with the original Magnus. Arne, Carlos and Magnus with a rather over excited library assistant! In the meantime if anyone else has finished their Magnus please send us a photo so we can share them here and motivate Becky to get further than some disembodied legs - looks like poor Magnus has had an unfortunate accident at the paws of the library cat. Maybe we could tempt Arne and Carlos back to visit the Yap and Yarn group when we move to the new Stromness Library? !